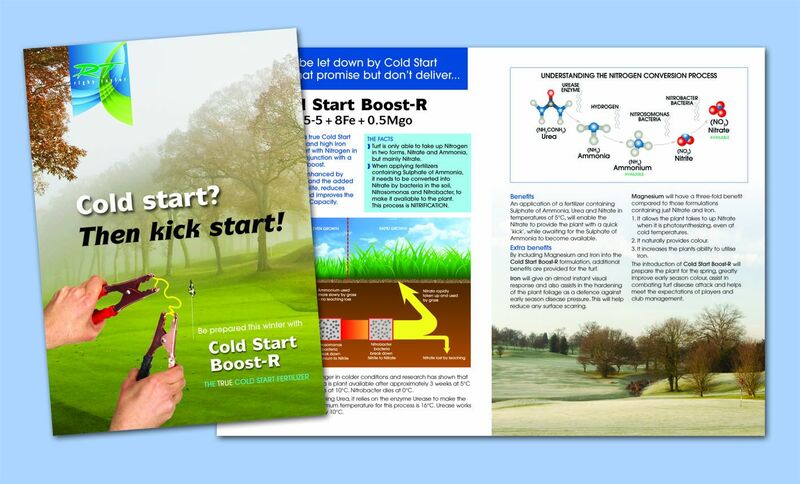 Rigby Taylor has introduced Cold Start Boost-R 11-5-5 +8 Fe + O.8 MgO as a true cold start fertiliser that provides turf with nitrogen in cold conditions, in conjunction with a rapid colour boost. Effective at temperatures of 5 degrees C, Cold Start Boost-R will prepare the plant for the spring, greatly improve early season colour and assist in combating turf disease attack while enabling grounds staff to produce playing surfaces that continue to meet expectations. Nitrogen: an application of a fertiliser containing sulphate of ammonia, urea and nitrate in temperatures of 5 degrees C, will enable the nitrate to provide the plant with a quick ‘kick’, while waiting for the sulphate of ammonia to become available. Iron provides an almost instant visual response and will assist in the hardening of the plant foliage as a defence against early season disease pressure. This also helps reduce surface scarring. There are three-fold benefits of the use of magnesium compared to formulations containing just nitrate and iron. Magnesium allows the plant takes to up nitrate when it is photos­yn­the­sising, even at cold temperatures, naturally provides colour and increases the plant’s ability to utilise iron.